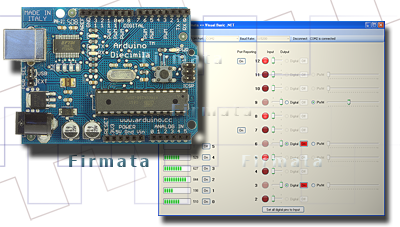 A .NET component that implements the Firmata V2.0 protocol for serial communications between an Arduino running the Standard Firmata skectch and Visual Basic .NET, Visual C# .NET or any other .NET language. A sample Visual Basic program that contains functions to convert numbers to binary literals and binary literals to numbers. The full source code is included with an explanation of how the functions work. Based on a work at www.acraigie.com.